What is that funky smell in my backpack? Food spoils over time unless preserved. Configure any item to rot, any container to preserve items. Food rots over time. Make any item rot into any other item (or none at all) over a specified time (via configuration). Preserving containers (the Esky, Freezer, Larder box, and Icebox) stop, slow, or even speed rot a specified amount. Add more via configuration. Food rots twice as fast in the Nether - but strange things happen in the End! Configure rot modification for any dimension. Default configuration entries support vanilla Minecraft and other food mods. Any item from any mod can be specified, and specifiers include support for metadata and ore dictionary names. Support for TheOneProbe and Hwyla/Waila. See the wiki for documentation. Inspired by the food rot feature - thanks to the authors! If you want food rot for 1.7.10 or earlier, consider EnviroMine - it's lots of fun! 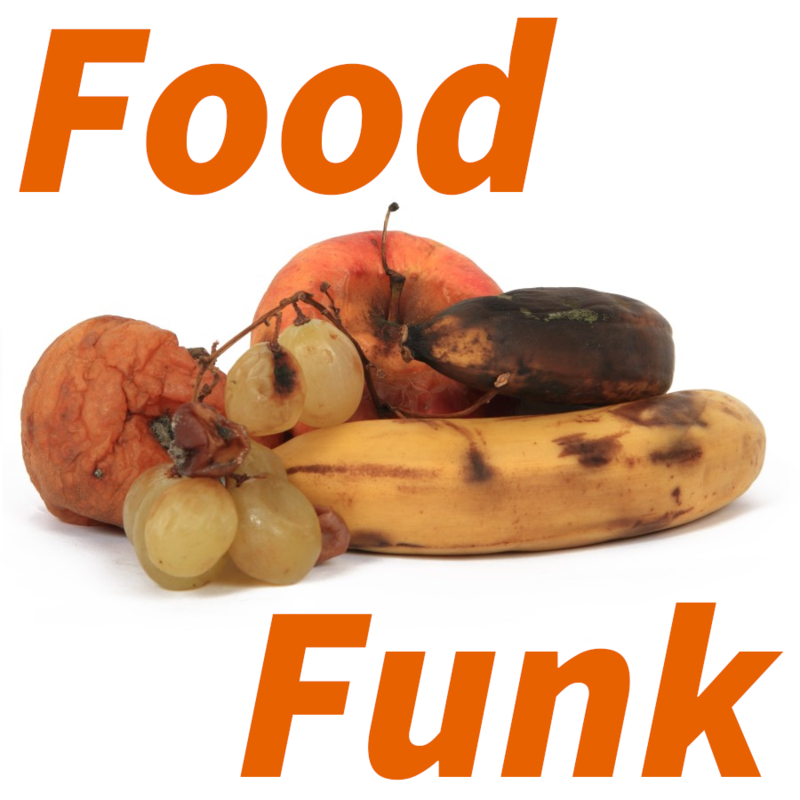 Food Funk - What is that funky smell in my backpack? Food spoils over time unless preserved. Configure any item to rot, any container to preserve items. Canny Composter - Compost stuff! Turn excess organic material and rotted food into nutrients for plants. Web Slinger - Spiders shoot webbing at you - slinging webs from a distance, or when they hit you in melee! Pantography - Copy Map item data to other Maps including different scale Maps. Palimpsest - Erase Maps and Books for reuse by rubbing with Redstone Dust. Daring Debug - Do you DARE to see extra debug information? Includes TileEntity and oreDict information. Will items continue to rot if stored on things such as shelves from Bibliocraft? Some textures is missing from 4.6.0 version onwards. I tested some recents versions and when I put carrots on floor the texture is pink as LordofSorrow7 says. The melon is bug too. I love this mod, fixit please. If I can help to locate the error or give to you more information, please tell me. In fact, there is a huge incompatibility with Pam's, I tested my modpack without Food Funk or without Pam's, it worked. The bug occur when you absorb potatoes or carrots on the floor : when villagers break them, or when the player break them. I took Pam's out, no crash, I took FF out, no crash, but when the two are up at the same time, there's a crash when taking vegetables lying on the floor. I suppose this is because Pam's take the vegetable and food from the base game to put it in it's own creative inventory, but I can't be sure. I will put the same message on the Pam's comments section. We will see. As I said, I tested it on 1.12.2... Ok dude, EnviroMine had a function to call all the mods items on a blank config file. This function is not here in your mod, I have Pam's and Aquaculture, I seriously don't want to write 100+ items in each section by hand on the config file. It's a little complicated. Do you have plans to had this kind of function soon ? Or maybe a forge ore dictionnary tip like I have to put "fruits" or "vegetables" to recognize only this king of food, and "meat" to recognize meats ? It would be usefull but I don't know if it's possible. EDIT : I found a workaround in the Pam's config file, I copied the names of most items. But my question is still up to date, as some mods don't have their items listed in config file. I think only of big mods that only add recipes and dishes, as Food XXL for example. EDIT 2 : Also, I don't know why, but pumpkin and melon block textures are deleted with your mod, I don't know why. It's weird. Is possible to make this nice mod for Minecraft 1.10.2? Never mind, I found what was wrong. I will test your mod on my private server 1.12.2 soon. The log says it's lightningcraft which is causing your crash. At line 110 something like that. Don't know why, that said, but you should test it out without LC or FF and see. Will this mod accept mutil-block structure like IE silo as preserving containers ? would u plan to make a rewrite for enviromine? Hey dude I havent tried your mod yet but it seems as if It'll be amazing once I get everything up and running but Im having some serious FPS issues when I installed your mod today (First time). I went from using 10gb of ram to 14gb and dropped from a consistent 50fps to the Teens. Im going to try some older versions of 1.12 to see if that changes anything. Just wanted to let you know. Thanks! In reply to xorbah: Well thats not what I allocated to Minecraft. That's literally what Minecraft is utilizing with all of the addons I have installed. my CAM said that while I run Minecraft 14GB of RAM is being used when using this addon. I don't know why its jumped so high but it does. The freezers make my game run like a madman dude. Was EnviroMineRevive canceled? Or are you making separated mods like modules? I was hopping for that mod. Or maybe i am confusing you with someone else? Anyway, this mod is great, thank you for it. Hi been messing around with the config file and i'm having problems getting custom container to work. I tried adding chests, barrels and crates from IE, Rustic and Bibliocraft. In the inventory, they show the correct chilled/cold tag, but as as soon as i place the chest down the tag goes away and the food rots at a normal rate. This is the same for any container i add except chests from vanilla minecraft. Except for this bug i think your mod is really cool. Looking forward to play around with it some more if i can get this bug fixed! This could be because chests in the inventory and chests placed in the world as blocks are two completely different items in Minecraft and can have different string identifiers. You probably need to add both the Item id and the TileEntity id for the chests to the configuration. To discover the TileEntity name of the block, place the chest and use my Daring Debug mod to view the TileEntity id string on the debug screen. Then add that TileEntity id string to the Food Funk configuration. If you are willing, send me the item ids and TileEntity ids you discover for those other mods and I can add them to the default settings. 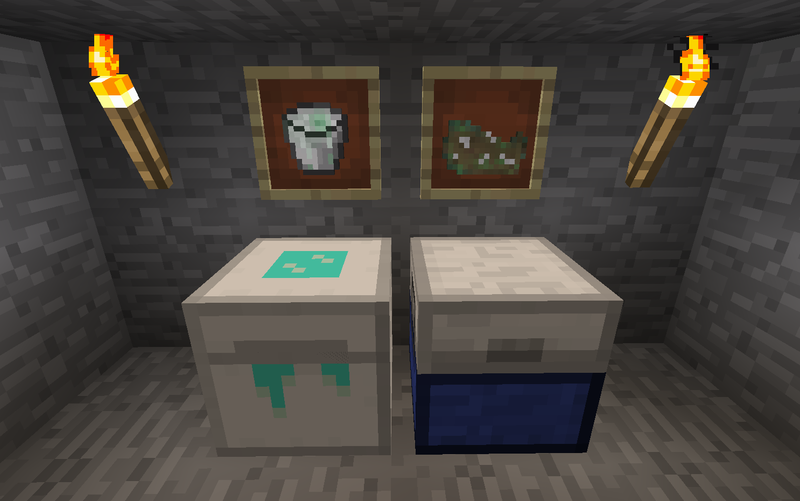 I liked the mod a lot, but some things bother me, I can not stack items above 10, and it disturbs the use of food in some recipes, as in the alchemy of Rustic mod, I will not use it at the moment, but if you fix this, I'll use it again. In the configuration, try disabling Rotting->"Replace special vanilla things" and Rotting->"Rottable merge recipe" to increase compatibility (at the cost of losing those two features). Due to Minecraft limitations, two food item stacks of the same item with different ages won't stack automatically (because they have different NBT data). The "Rottable merge recipe" feature of Food Funk allows manually merging two food item stacks with different ages by putting them both in the crafting grid resulting in one item stack with the age of the oldest input stack.